This article is a supplement to my sitecore.stackexchange response, to “Sitecore, personal data and General Data Protection Regulation (GDPR)” question, please check it before reading. I won’t cover here what GDPR is in general. There are already many great articles about it from Sitecore: GDPR Sitecore 6, 7, 8, GDPR for Sitecore 9, or external: http://www.sphammad.com/blog/gdpr-all-you-you-need-to-know-with-templates or http://www.gdpr-legislation.co.uk/ Instead I will focus on GDPR related issues you may find in your Sitecore XP implementation. How personal data may appear in Experience Profile? 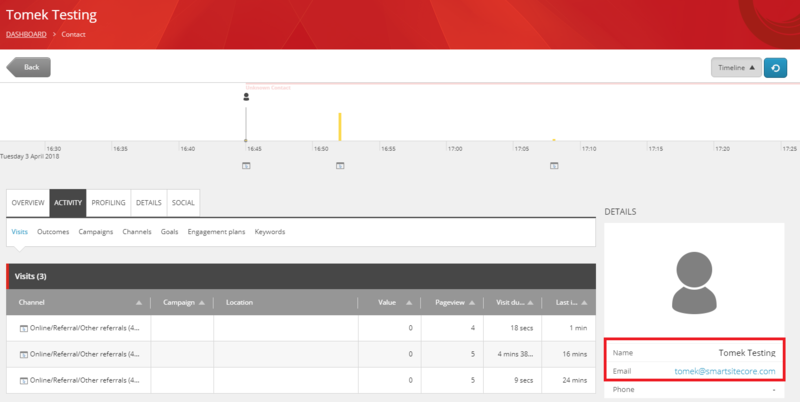 Personal data may appear in Analytics database in Interactions collection (and sitecore_analytics_index in Sitecore 8) with your custom goals, page events or query string parameters related with visit, so you should check what additional data you are saving there (e.g. you may have there full history of the user’s search, or parameters you pass to fill WFFM form, etc). 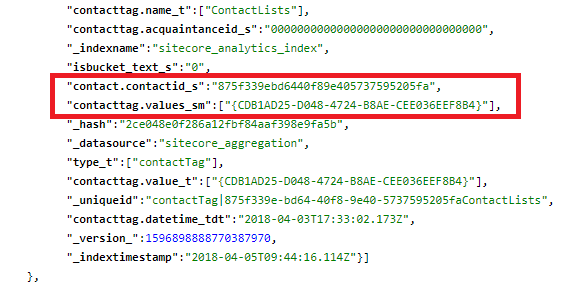 Sitecore Contact’s Id is persisted in SC_ANALYTICS_GLOBAL_COOKIE in visitor’s browser: This value is saved to databases (analytics and reporting) and sitecore_analytics_index. In sitecore_analytics_index contact id is usually (but not always) stored without dashes. Sitecore 9 won’t index personal data in by default. It also won’t index your custom facets data if you mark it [PIISensitive] attribute. 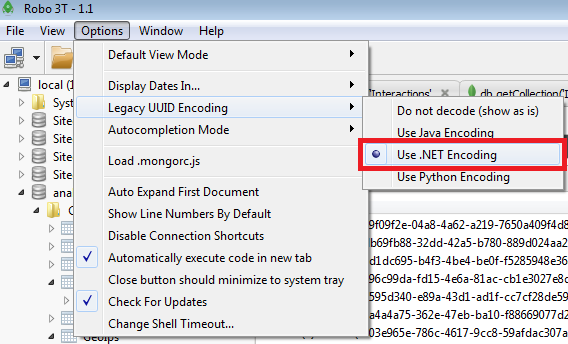 Sitecore 8 prior 8.2 update 7: Sitecore doesn’t have documented API to remove data from MongoDB, but you can rather easily delete the data using standard MongoDB .Net provider shipped with the platform. 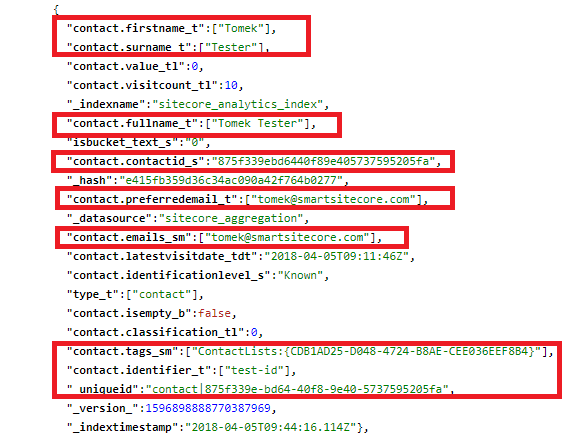 If you removed user from list manager (there’s no point to keep anonymous users without email address in the list), you will also need to update recipients count in list item using ListManager<TContactList, TContactData> class to keep your data consistent. 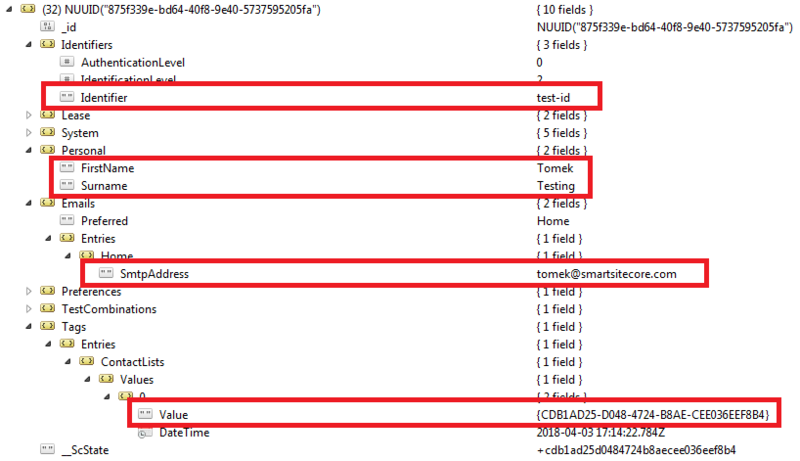 CommandText = "UPDATE dbo.Contacts SET ExternalUser = @ExternalUser, ContactTags = @ContactTags, IntegrationLevel = @IntegrationLevel WHERE ContactId = @ContactId"
You can look at this pipeline configuration in Sitecore.Analytics.config and add your custom facets you want to remove. By default it removes: Addresses, Emails, Personal, Phone Numbers and Picture facets. Check next part of this article where I cover GDPR in WFFM/Forms and EXM. this is a great post, thanks a lot for compiling the information & adding all the details from various sources! So what exactly are you referring to, when you say “Sitecore 9 won’t index personal data in by default.” ? Hi Oliver, thanks for your feedback. With this statement I meant that Sitecore 9, by default won’t add personal facets (marked by [PIISensitive] attribute) to the sitecore_xdb search index (which replaced sitecore_analytics index from 8). In practise, it means this information won’t be stored in the index in Solr/Azure Search, but only in xDB. This resolves issue with protecting and anonymizing the data in Solr/Azure Search part of your system (cause it’s not there :). The drawback is that you won’t be able to search it using the index. You can check for example “Sitecore.XConnect.Collection.Model, 9.0.json” file in xConnect directory, to find which OOTB facets are marked with PIISensitive attribute. 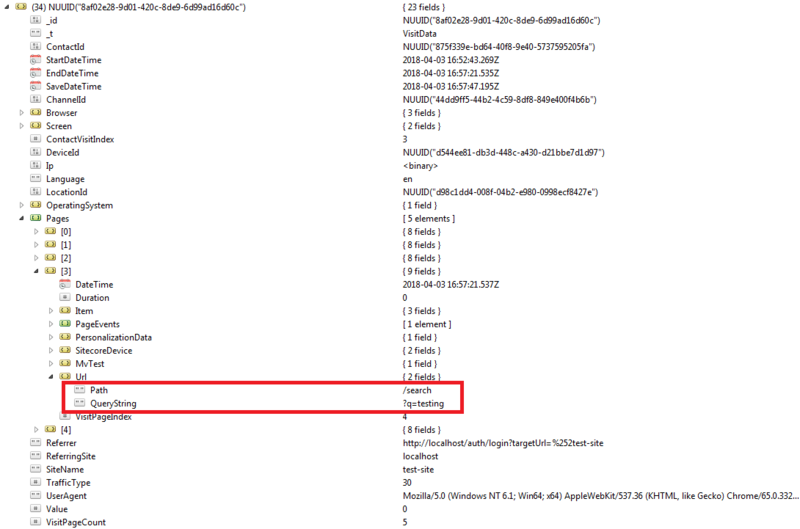 I don’t think that “SC_ANALYTICS_GLOBAL_COOKIE” behaviour changed in 9. Anyway, it only stores visitor id, which you don’t need to worry about in terms of GDPR, as far as you keep your analytics data anonymous. Thanks for the follow-up & clarifications, Tomasz. As a side note, you do have to care about the SC_ANALYTICS_GLOBAL_COOKIE tough – because a visitor should be able to specify his/her cookie settings on your site in a way, to be not tracked at all; which means, you must programatically ensure that this cookie is not written at all.